If you've road tripped down Pacific Coast Highway you've probably seen these nestled in the hills or along the coast. Native to the Pacific Ocean Coast and shoreline, the California poppy flower. 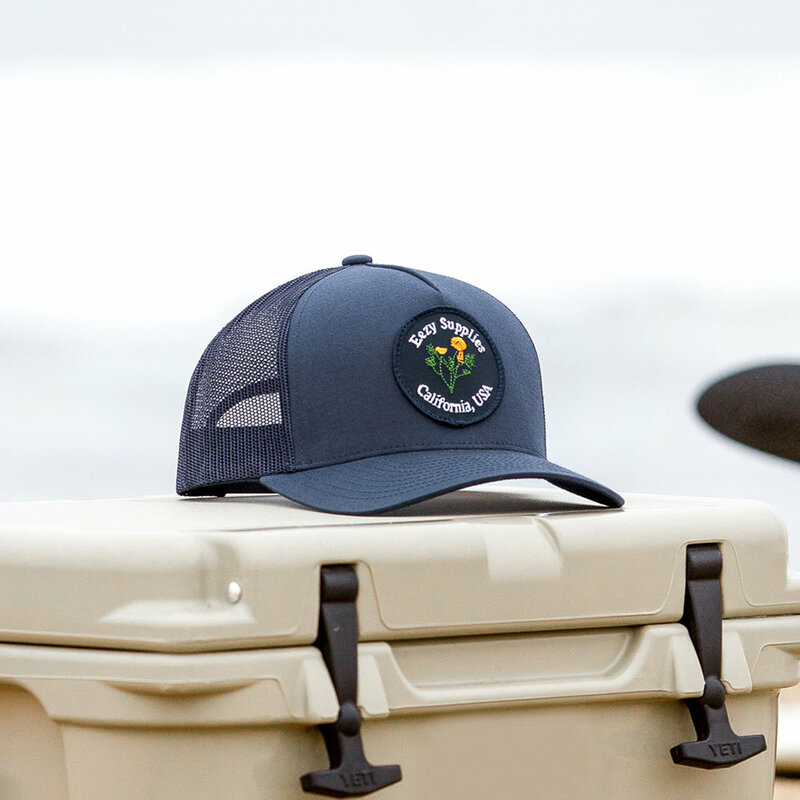 The Flora cap features a ball-cap fit in a trucker setup. sits right above the ears. comfort that goes the distance.